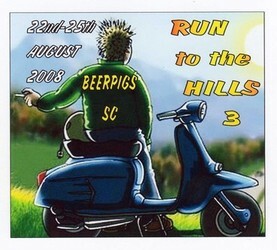 Beerpigs Scooter Club was formed in the mid 80's by the former members of the Wansbeck Scooter Club. The club continued to grow with a good turn out attending rallies and do's and not forgetting our infamous beach parties. After a few years membership dwindled, some moved away and had families. 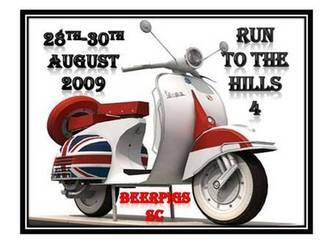 Then a reunion brought former members back together and we realised the passion for scootering was still there. 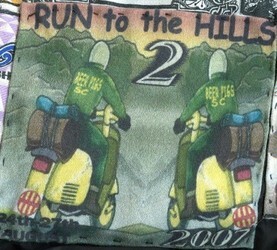 Some still had scooters, those who didn't bought one or two or even three in some cases (Toppa!) We aren't into politics of scootering. We have different priorities now (Jobs and Families) - but if we can attend we will be there kilts n all! You can find us at the Elephant in Ashington every other Wednesday. New and Old faces welcome. 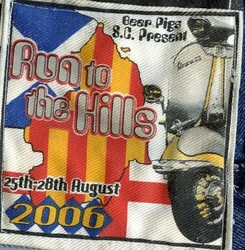 Keep checking out our site for do's and events and not forgetting The Annual 'Run to the hills' weekender in August!